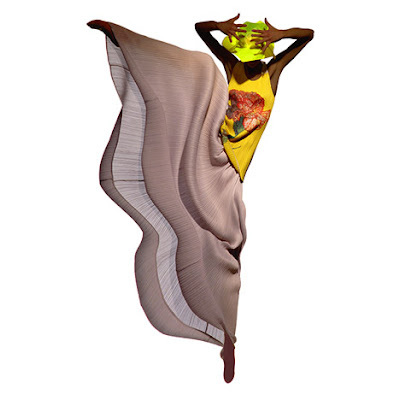 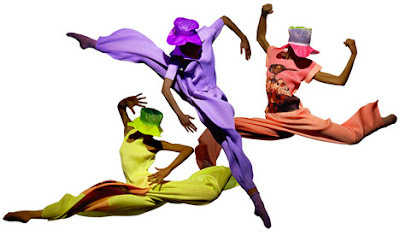 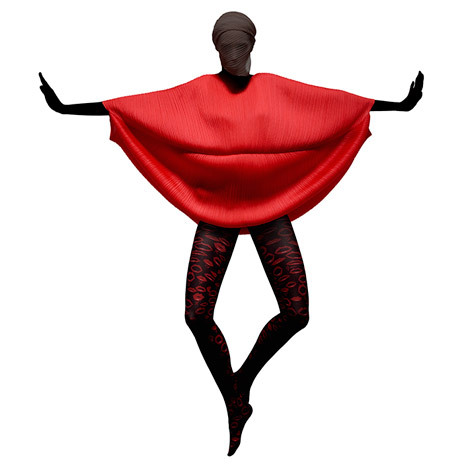 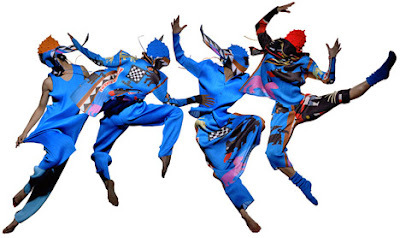 Images of dancers wearing garments by Issey Miyake. The Prism exhibition displays prints of Giacobetti's fashion photographs within a gallery space at the Klein Dytham-designed cultural center. 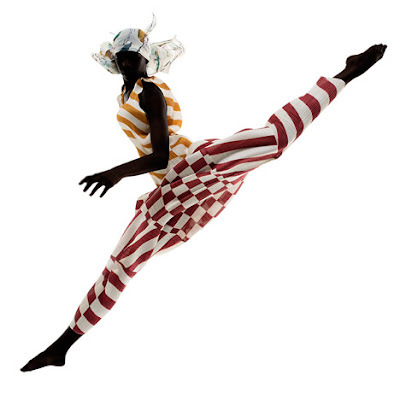 In the shots, the pleated garments are worn by dancers posed in extreme positions – jumping with outstretched legs or balancing on one pointed toe.